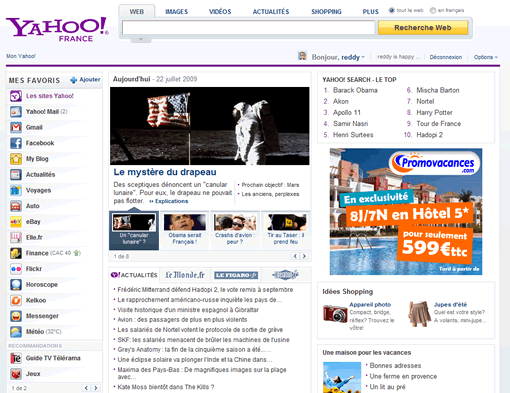 Yahoo new home page was announced last year and Yahoo is testing the new home pages for quite some time, they are only visible for a small fraction of users. The latest version appeared few months back, some people may not like it but it is quite good. The most striking feature of the new home page is the ability to add applications and customize it as the way you want your start page. 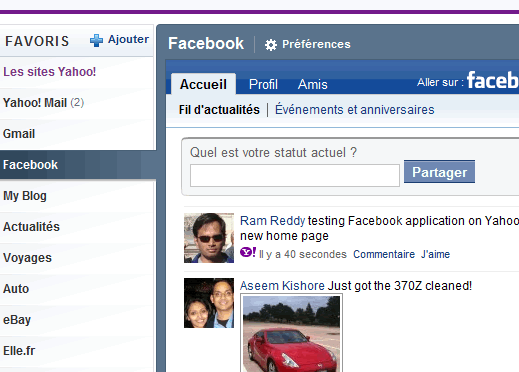 The most prominent change is the left navigation bar, you can add and remove applications, links to the columns. It has 3 columns, only one is visible at anytime, each column allows you to add 15 applications or links to the home page. There are several third party applications to be added, the most useful and prominent ones include Yahoo mail, AOL mail, Gmail, Ebay, Facebook, MySpace, Flickr. 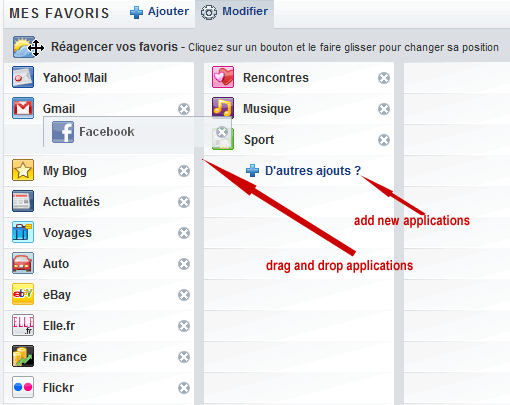 You can reorder the applications by drag and drop, click the add new or modify link to do that. Each application opens in a Ajax windows on top of the page, with a contextual ad on the right side. There appears to be a feature that allows you to set a new filter from Fun to Serious but it is not yet enabled for me. Facebook application allows you to see your friends updates, profile, friends and you can post to Facebook from Yahoo home page with out leaving Yahoo. 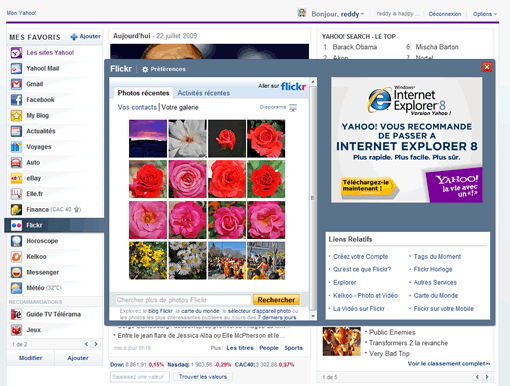 Flickr application allows you to view your photos as well as your contacts. The new Yahoo home page is really good and customizable, you can remove all those yahoo services you donâ€™t use and put the applications you need on top. « A Tip-Jar for Firefox add-on developers, will you contribute?